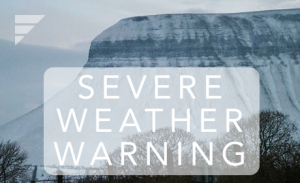 A status red weather warning has been issued across the Republic of Ireland by Met Eireann (national meteorological service of Ireland). On foot of advice from state agencies, Firefly Orthoses will be closing as of 1300hrs on Thursday, March 1st and may not reopen until Monday, March 5th at 9am. For customers who are awaiting the processing and delivery of orders over the coming days, please expect a delay of up 48 hours, at least. In addition to the closure of Firefly on the stated dates, postal, delivery and courier services will not operate while a status red weather warning is in operation. If you have any queries, contact info@firefly.ie.